The New York Times chronic Lyme disease: Placebo effects and misleading anecdotes. Both sides are not equal when it comes to chronic Lyme disease. 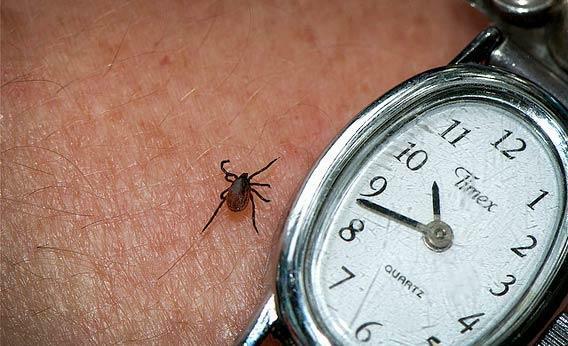 How long could a tick bite plague you? “Teach the controversy” is a smart slogan for creationists, anti-vaxxers, and chronic Lyme advocates. When you’re making an argument without the benefit of evidence, just getting people to acknowledge your side is a victory. Fortunately, most media outlets recognize the desperation in that particular gambit. Last week, however, the chronic Lyme folks apparently managed to dupe the New York Times. Here’s the thing: Brody’s description suggests that this patient doesn’t have PTLDS. Using this characterization of a case as a springboard to discuss PTLDS—the only form of chronic Lyme disease that mainstream doctors discuss seriously—represents either a complete misunderstanding of the medicine or a devious narrative trick. Doctors divide chronic Lyme disease into two categories, broadly speaking. The first involves patients who have a known history of infection by Borrelia burgdorferi, the spirochete responsible for Lyme disease. A small subgroup of patients treated for the disease experiences aches, fatigue, and other nonspecific symptoms more than a year after the infection clears. Whether these symptoms have anything to do with the initial infection or treatment is a subject of controversy among mainstream doctors, because we don’t have enough data to make a judgment. Then there are patients with no proven history of actual infection, who represent the overwhelming majority of people claiming to suffer from chronic Lyme. This form of chronic Lyme is controversial in the same sense that rhinoceros horn therapy is controversial: There’s no reliable data to support it. Brody’s characterization of PTLDS—the more scientifically plausible form of chronic Lyme—is badly skewed. It’s not new, as Brody implies, nor has it suddenly won over recognized experts in the field. Brody claims that PTLDS affects 10 to 15 percent of patients treated for Lyme, but that’s a selective presentation of the evidence. In fact, studies suggest the range is between 0.5 and 13 percent. It’s important to appreciate the significance of those numbers. Since there’s no evidence that Lyme disease spirochetes remain in the body after antibiotic treatment for the infection, lingering symptoms are the only evidence for the existence of PTLDS. However, many people who report the symptoms of PTLDS are in their middle age, when fatigue, aches, and pains become common. If the prevalence of PTLDS symptoms after treatment is only 0.5 percent, or even 3, 4, or 5 percent, that probably matches the prevalence in the general population. Unfortunately, good data is hard to come by. The only prospective trial addressing this question found that people treated for Lyme experience symptoms at a rate no higher than the general population, but that study came from Europe, which has a different strain of Lyme. When doctors say that more research on chronic Lyme is needed, this is what they’re talking about. 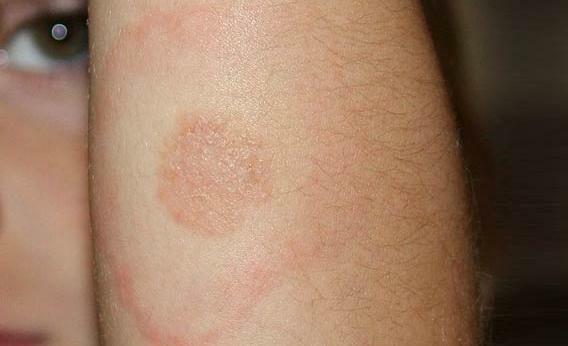 The telltale bull’s-eye rash that signals Lyme disease is seen on a 5-year-old’s arm in July 2009. When it comes to antibiotic treatment, Brody again attempts to teach the controversy, with misleading effects. She acknowledges that research on long-term antibiotic therapy for chronic Lyme has shown “little or no benefit,” yet she goes on to speculate about why antibiotics seem to work for some people. She proposes three possibilities: No. 1, antibiotics have anti-inflammatory effects that alleviate symptoms; No. 2, patients have a persistent yet undetectable infection; and No. 3, the placebo effect. We’re used to thinking of antibiotics as medical miracles with no side effects, but that’s not the case. Patients can have gall bladder problems or life-threatening allergic reactions to the medicine. The antibiotics are virtually always administered intravenously, and the catheter often creates infection. Long-term antibiotics also turn patients into walking factories for antibiotic-resistant bacteria. Academic hospitals employ specialists to guard the antibiotics supply, forcing their own doctors to plead for the drugs. That should tell you how dangerous it is to prescribe antibiotics without evidence of an infection. This refrain is what makes the chronic Lyme “controversy” so unfortunate. No serious doctor thinks these patients are crazy. Their cases are sad. No one should have to suffer through years of pain and fatigue. But the false hope that a small minority of doctors offers is not the solution. Wormser is an interesting figure in this so-called controversy. Chronic Lyme advocates hate him. Google his name: One of the top hits is a forum titled “I hate Gary P. Wormser.” Chronic Lyme believers who have never visited his office pollute medical review pages with rants about him. But Wormser is the doctor whom other doctors call when they have complex cases of Lyme disease—real Lyme disease, the kind involving an identifiable infection that can devastate a patient’s body. Wormser isn’t the only doctor affected by extremists. Allen Steere, the Harvard doctor who first described Lyme disease and likewise rejects the chronic Lyme category, has received death threats. Jane Brody and the editors at the New York Times ought to have known better. There’s very little evidence that treated Lyme disease lasts and lasts, and there’s no reason to blame Lyme disease for symptoms among patients with no history of infection. But as long as newspapers take this kind of nonsense seriously, the conspiracy theories will be chronic.